The 43rd annual running of the event means muffins and pancakes and, most of all, blueberry pie. WINSLOW — Pauline Poulin scoured over the tables of blueberry pies, inspecting each one individually as if it were a prized stallion. 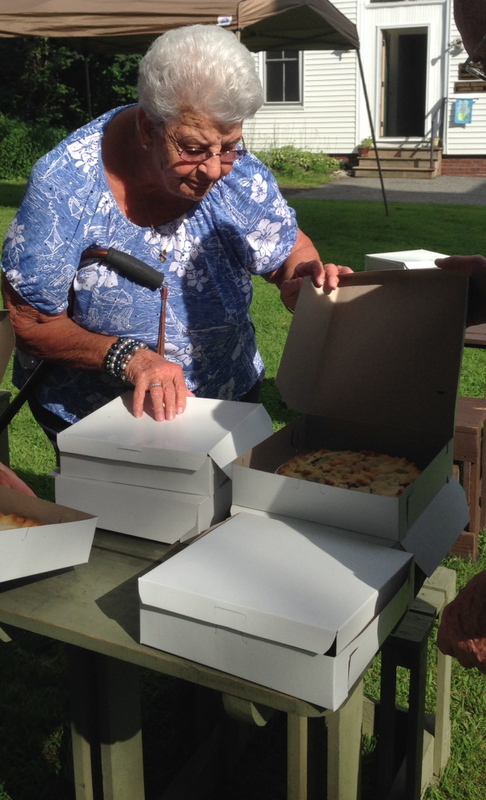 Poulin, a Winslow resident, left with four pies, at least one of which she was giving to her son and daughter-in-law. “I don’t want to pay $9 for one when I can pay $16 for two,” Poulin said, addressing the small group pie buyers at Winslow Congregational Church. 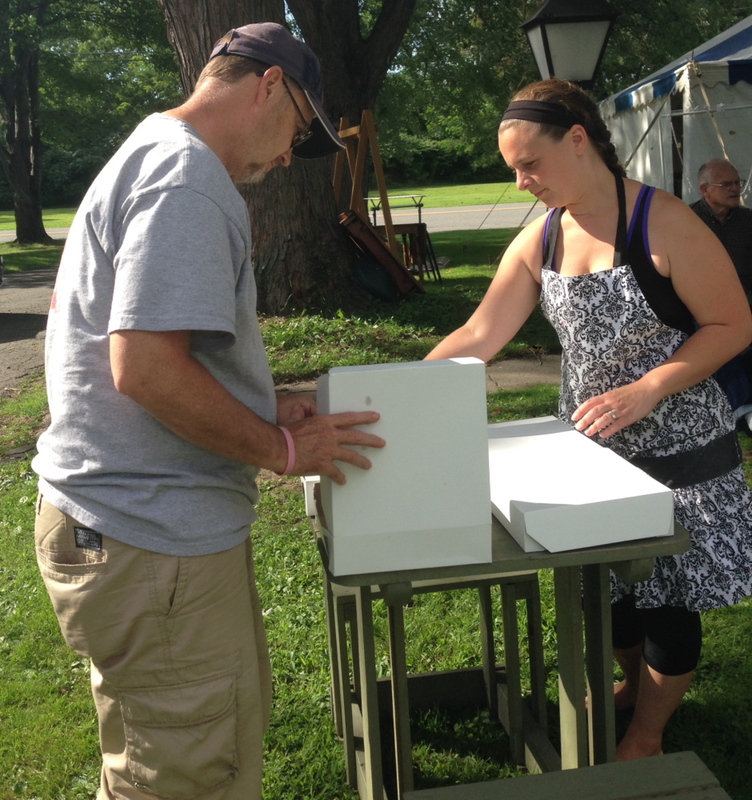 The Friday night pie pre-sale set the stage for the church’s 43rd annual Blueberry Festival. Hundreds of pounds of Maine blueberries, sugar and flour were turned into nearly 450 pies Friday at Winslow Junior High School. The pies, along with other baked goods, are to be sold at the Saturday fundraising event for the church. 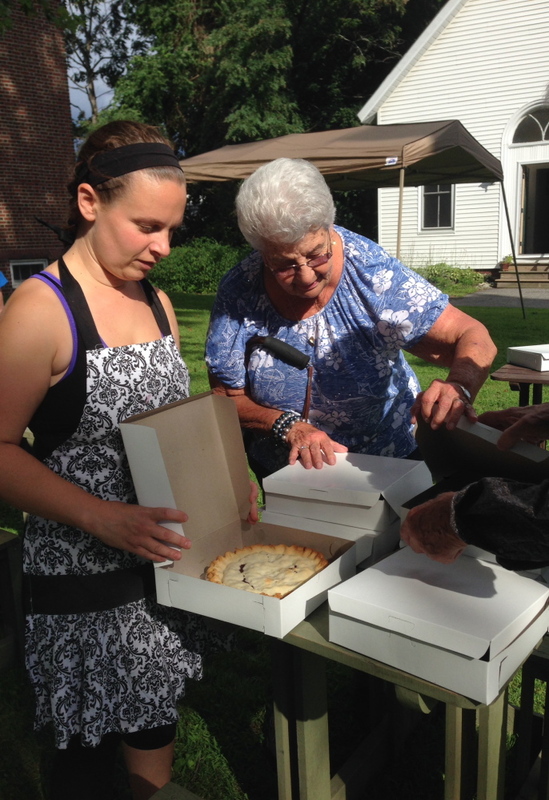 Dot Fogg and her daughter, Amy, were at the school at 6 a.m. Friday morning firing up the ovens for the abundance of pies, which the church hopes to sell to support the church. The event, in its 43rd year, combines communal support, live music and lots and lots of blueberries. Poulin said she waits for this day each year so she can get her hands on the fresh blueberry pie. Just about all of the half-dozen pie enthusiast there at 4:30 p.m. inspected each pie for its crust’s darkness and whether there were any imperfections, such as the crust splitting during the baking process. Although, the imperfect ones are still preferred by some, according to volunteer Peggy Caouette. Earlier in the day, when the question of if the group purchases store-bought pie crusts or if the dough is freshly made, the Foggs, along with fellow organizer Mary Morrison, scoffed. The Friday pie presale was a success, according to organizers, with at least 60 pies sold in a two-hour span early Friday evening. The presale was a way for people who couldn’t attend Saturday’s festivities to still buy a pie. 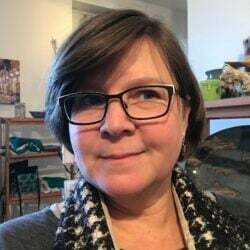 “Often times we’d have people come in here while we were baking them and ask if they could buy some pies,” Fogg added from the cafeteria of the junior high school. While pies are the main attraction, more than 350 blueberry muffins were baking Friday night, mostly for the bake sale Saturday, and any left over flour was used for the blueberry pancake breakfast, which serves about 300 people from 7 a.m. to 10 a.m. In addition to the abundance of blueberries, there will be live music, a silent auction featuring donated gift cards and products from area businesses and events for kids, including fire truck and police car tours and a fingerprinting demonstration. The fundraising goal is about $10,000, Morrison said. The pies cost $9, or $16 for two.